The members of Active Volcano once burned with a passion for the rock'n'roll life, but with graduation and the responsibilities of adulthood, the college bandmates eventually drifted apart... Now in their forties, none of their lives have gone according to plan. Lead guitarist Ki-young (JUNG Jin-young, The King and the Clown) receives an allowance from his wife and attitude from his teenage daughter. Underemployed bass guitarist Sung-wook (KIM Yun-seok, The Thieves) works day and night to finance his overachieving wife's academic goals for their two young sons. 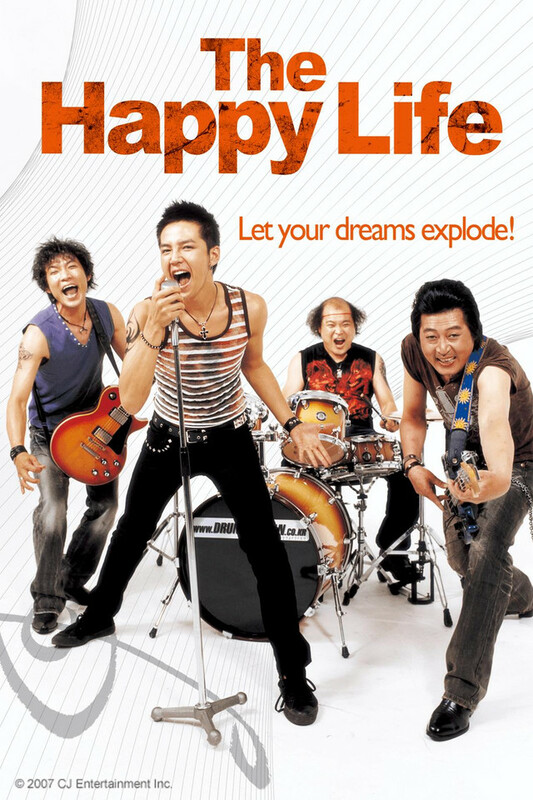 And drummer Hyuk-soo (KIM Sang-ho, Moss) owns a used car dealership to provide for his wife and children, who have relocated to Canada - without him. The three friends reconnect at the memorial service for their lead singer, Sang-woo. Ki-young takes Sang-woo's death hard, and it sparks his determination to reunite the band. With Sang-woo's son (JANG Keun-suk, You're Beautiful TV) stepping into his father's role as vocalist, can the members of Active Volcano take the stage once again?